Are you considering going vegan, but you're not sure how to start? Are you already committed to an animal-free diet, but are unclear about how to get proper nutrients? 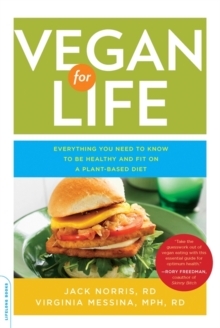 Vegan for Life is your comprehensive, go-to guide for optimal plant-based nutrition. Registered dietitians and long-time vegans Jack Norris and Virginia Messina debunk some of the most persistent myths about vegan nutrition and provide essential information about getting enough calcium and protein, finding the best supplements, and understanding the "real deal" about soy.